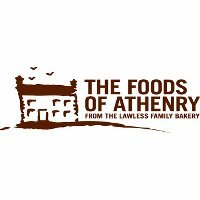 Foods of Athenry was born in 2004 out of a family farmhouse Paul had inherited from his parents in 1980. The family decided to give up farming in favour of baking delicious vegan, gluten free and dairy free cakes, biscuits and pies among other baked goods. Foods of Athenry is an award winning company, and we are delighted to offer gluten free and vegan festive treats for the whole family to enjoy this Christmas.